2 x Farfalle: Dating back to the 1500s, originated in the Lombardia and Emilia-Romagna part of Northern Italy. 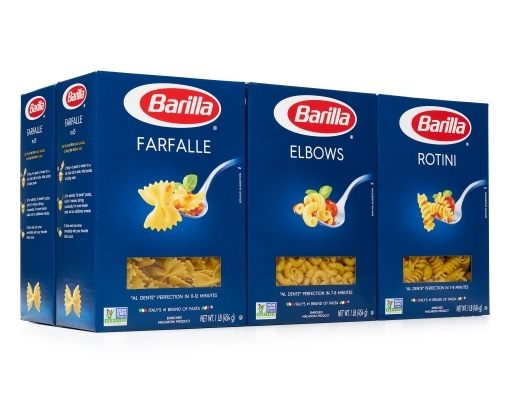 Farfalle, which means “butterfly” in Italian, are rectangular or oval pieces of pasta that are pinched in the middle. 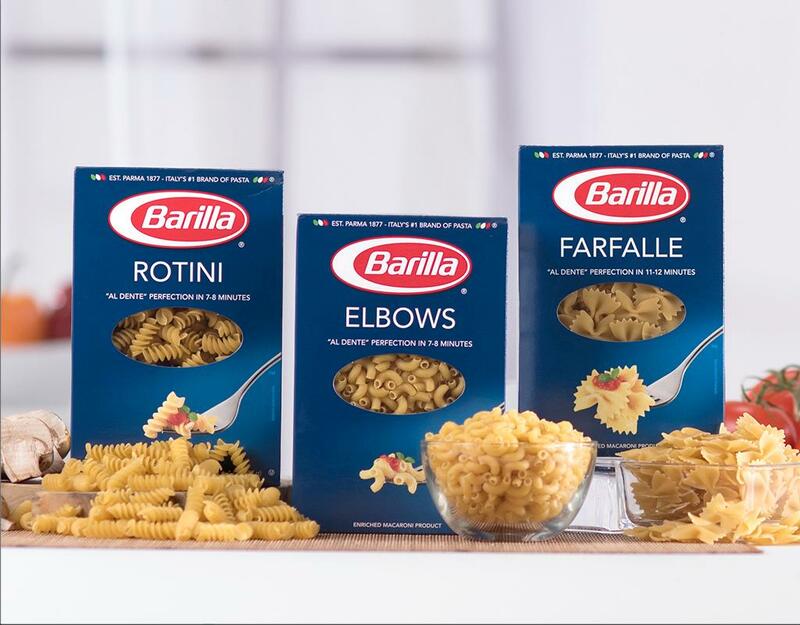 Farfalle are versatile and perfect in many dishes. Served hot, they are good with light delicate sauces and vegetables. 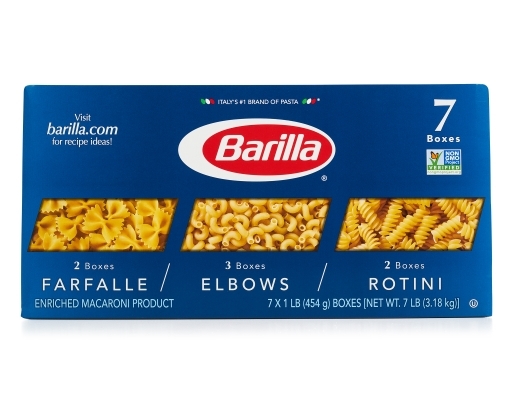 Served cold, they are perfect for pasta salads. 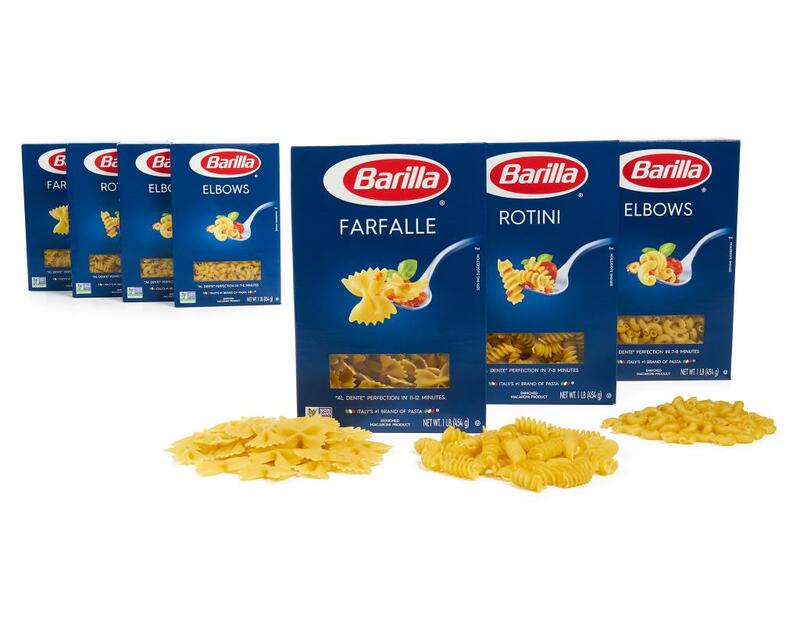 Farfalle is great with intense fragrances and flavors. 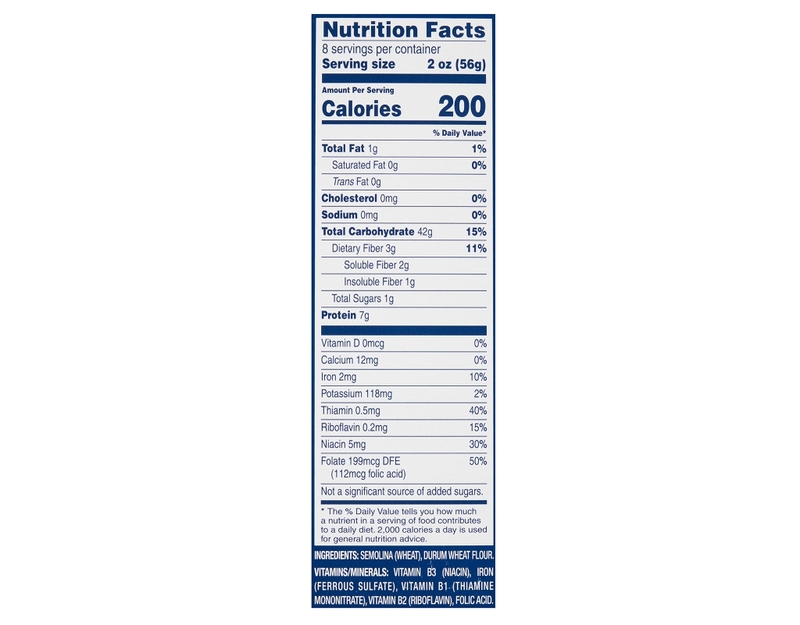 Try it with light sauces with vegetables or fish, dairy-based sauces, simple oil-based sauces, or in pasta salads. 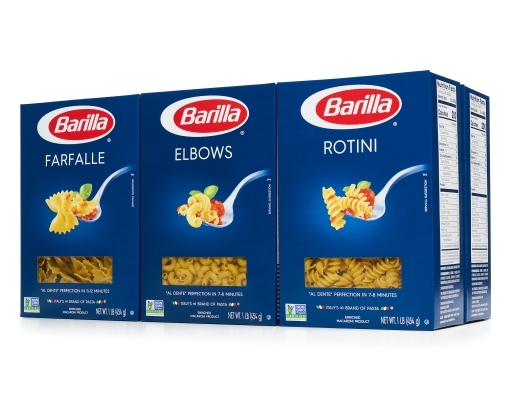 3 x Elbows: Elbows, Gomiti or Chifferi in Italian, is named for its twisted tubular shape that can vary in size, and be either smooth or ridged. Pasta Elbows originated from Northern and Central Italy, where they are traditionally used in soups. 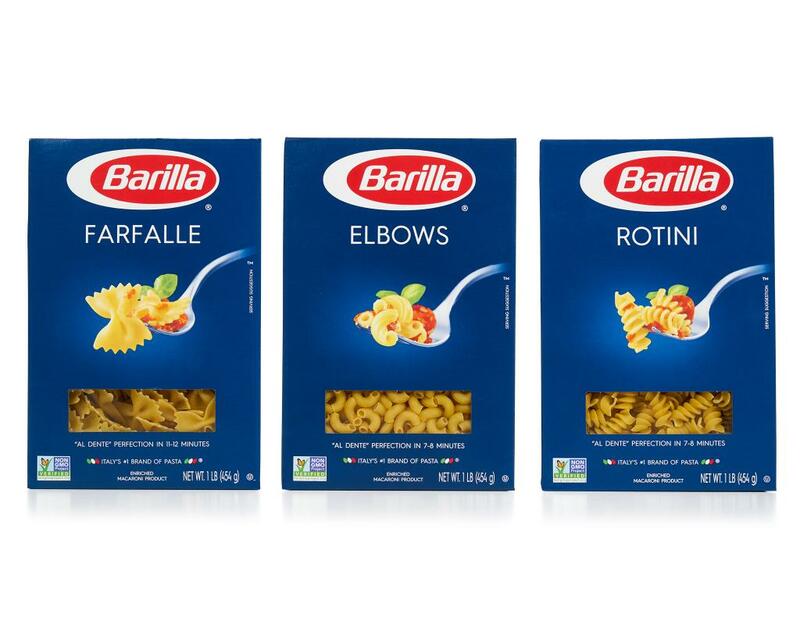 Barilla twisted Elbows are ridged with an extra twist, giving it a more sophisticated shape that also helps to hold the sauce. You can take this fun shape beyond the expected in any number of traditional Italian meals, including soups, baked pasta dishes, or even toss it with vegetable or cheese sauces. Elbows are perfect for the American favorites macaroni & cheese and pasta salad. They also pair well with dairy-based sauces (like butter and cheese), tomato-based sauces with or without vegetables, and chunky fish or meat-based sauces. 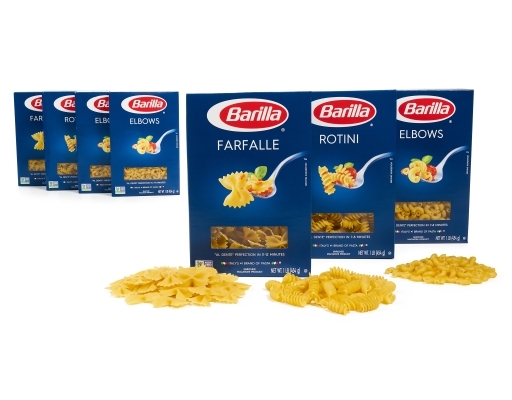 2 x Rotini: Rotini means "twists" and are two-inch lengths of thick screw-like pasta from Northern Italy. The shape was inspired by children, since it is fun to eat and pairs well with a wide variety of sauces. The twists of Rotini allow the pasta to hold more sauce. They may be enjoyed with your favorite pasta salad dishes or paired with tasty tomato-based sauces.